Jennifer Workman, M.S., R.D., C.Y.T., is the founder of The Balanced Approach®, a National Nutrition/Weight Management Education Program and author of Stop Your Cravings, (Free Press/Simon & Schuster, 2003). She has been successfully incorporating Integrative Medical and Eastern/Ayurvedic nutrition into her sports/medical nutrition practice since 1996. Jennifer is a graduate of New York University, with a Masters Degree in Nutrition & Exercise Physiology and a Registered Dietitian thru The American Dietetic Association. She has completed over 750 hours of Ayurvedic and Yoga training thru The Rocky Mountain Institute of Yoga and Ayurveda & The Ayurvedic Institute with Dr. Vasant Lad. Jennifer is a Certified Hatha Yoga Teacher and has also completed a 200 hour Yoga Teacher training thru The Eldorado Yoga Ashram in Shambhava Yoga and meditation. 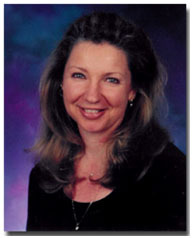 Jennifer has consulted for the medical, spa, health & fitness, and organic foods industries for over 25 years. She is currently working with Dr. Nita Desai, M.D. as a Nutrition & Ayurvedic Educator. Food should help you manage stress, not create more! Americans are shown to be more than 60% overweight to obese and more frustrated than ever after years of dieting. 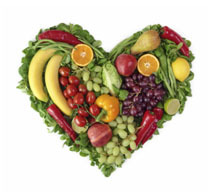 Health and weight problems can be due to what is missing in the diet. Eating too many fast, processed, chemically enhanced foods can exacerbate many health problems. Learn how to apply the basic Ayurvedic principles to manage stress and cravings with food, herbs and spices. Digestion is the key to optimal health. Make sure yours is working well! Eat Real Food. Learn how to incorporate organic, environmentally friendly, humane/cruelty free products into your daily eating. § satisfy cravings & feel happy! …specializing in western and complementary medical nutrition, sports nutrition, Ayurveda, yoga, and fitness. …with a mission to help bridge the gap between functional/integrative, western medical and sports nutrition, as well as Eastern & Western philosophy. …committed to supporting organic, globally conscious companies who practice humane and respectful treatment of our children, animals, and environment. The principles of Ayurveda are universal and can be applied to any ethnic tradition including a typical American cuisine. Low glycemic index foods and lots of yummy veggies! Organic good quality proteins and healthy fats. Easy to prepare meal ideas that taste delicious. Our goal is to teach you how to cook, not how to follow a recipe.